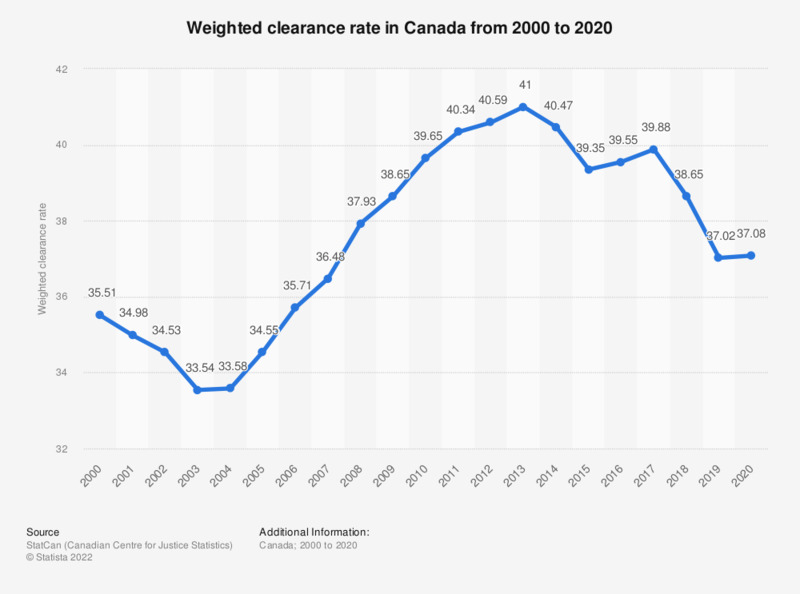 This statistic shows the weighted clearance rate in Canada from 2000 to 2017. In 2017, the weighted clearance rate in Canada stood at 39.49. The weighted clearance rate is based on the principle that more serious offences are assigned a higher "weight" than less serious offences. As an example, the clearing of homicides, assaults or burglaries would represent a greater contribution to the overall weighted clearance rate value than the clearing of minor thefts or disturbing the peace.